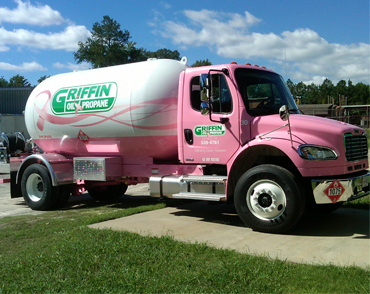 Motor Fuels / Fleet Fuels | Griffin Oil and Propane | Suffok Energies, Inc.
Control your fleet fuel costs with the GOCO Fleet Fuel Card. This unique and simple system allows you to manage your commercial fuel use all day, every day! Added accountability, convenience, and control of all grades of gasoline and diesel fuel, when you need it. An itemized statement shows each vehicles transactions including odometer readings, miles per gallon, employee, and taxes. Monthly billing allows for accurate tracking of fuel expenses. Open 24-hours a day – 7 days a week. There is no waiting and no check out. Less time at the pumps equals more time to get your job done. Vehicle specific setup enables control of gallons, daily usage, and type of fuel. This eliminates misfueling and prevents unauthorized use and purchases. There are no hidden costs with using the GOCO Fleet Card. Unlike credit cards, there are no extra charges, annual fees or transaction fees.